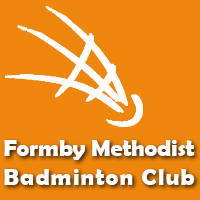 Formby Methodist Badminton Club welcome all to play badminton at our church hall in formby. Juniors are invited to learning the basics of badminton have fun and meet new friends. Friday Evenings 6:30pm- 8:30pm £2.00 per session. If you are interested then call Jane on 07946 305022 DBS checked. Bring suitable footware, a racquet & a drink, there are racquet to borrow for a couple of weeks to see if you enjoy playing.